If there are any concerns, or any confusion about the rules and their interpretation, you are invited to contact Mike Holley. 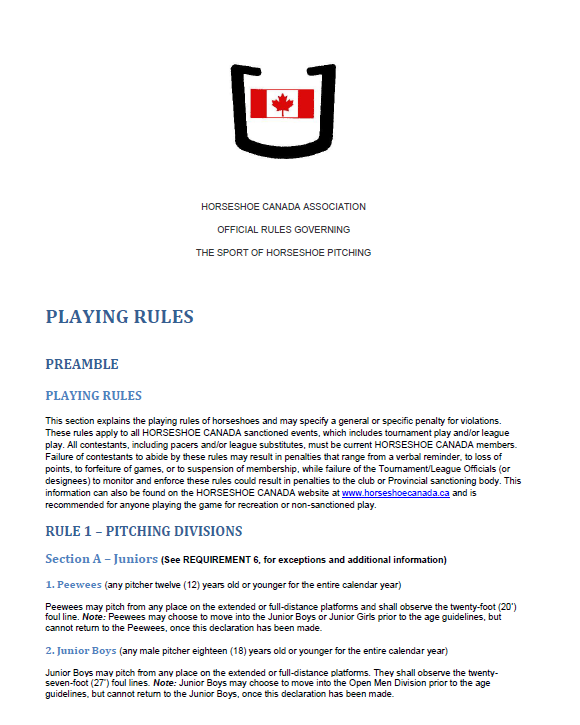 He will have printed copies available at the next Horseshoe Canada Canadian Championship tournament at Whitewood, SK. Click on image below to access the full document.